Chris Kane has an extraordinary background. With degrees in Engineering and Law and a West Point education, he ended up several years after receiving his law degree studying at the Harvard University Program on Negotiation. Currently Vice President, Senior Counsel at AECOM, in New York City, the largest engineering company in the country, Chris spent many years building a private ADR practice, working with complex construction projects involving public and private entities, a veritable minefield for conflict! This engineer, attorney, mediator and arbitrator has more than 30 years experience in the construction industry using many forms of dispute resolution ranging from mediation to structured negotiations to litigation in state and federal courts. 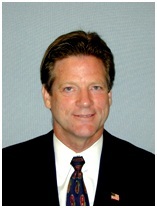 A member of the American Arbitration Association's Panel of Arbitrators and Mediators since 1994, Chris has helped resolve all types of construction contract disputes valued from $5,000 to $40 million, involving capital projects valued over $250 million. He has also written articles and made ABA and AAA conference presentations on his experience. Come hear about the lessons Chris has learned in his years of work in this industry and how those lessons apply to the broader field of ADR.